A recent Frontline special, "Al Qaeda's New Front," mentioned in passing an interesting statistic: over 30 arrests of terrorist cells in Western European countries in the last several years. 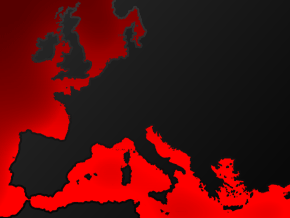 If you go to the Frontline website, you can click through a map of Europe to see a summary of the arrests, by country. Maybe the US government is just being more careful than their European counterparts. However, given how quick Ashcroft and Ridge were to grab the microphone, even when there weren't any specific plots or terrorists to talk about, it's tough to accept that explanation. Apparently, counterterrorism within the European "homeland"--intelligence gathering, arrests, prosecution, conviction--proceeds apace, in spite of their willingess to talk about it. In fact, a German court could not convict the only suspect linked to the 9/11 plot in Europe, Mounir el Motassadeq, because the US government refused to let his lawyers cross-examine Ramzi Binalshibh, a terrorist suspect in patented, hyper-secret American custody. Presumably, Binalshibh has valuable intelligence that can stop a terrorist attack--though we haven't heard about it--or bring other terrorists to the bar of justice--which hasn't happened yet. The number of arrests in Europe reflects a simple fact that Americans tend to miss: in France Algeria is a more intimate partner than Mexico is for the US. Europe with its large fairly well integrated Muslim populations is an easy target for radicalized Islamists called to Osama’s standard by the Iraq war or Yeltsin’s equally foolish escapade in Chechnya.